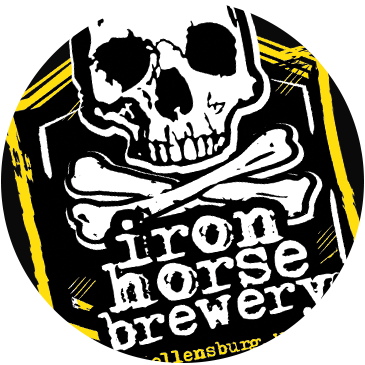 Iron Horse Brewery: Position at Iron Horse Brewery? (We know this, but let’s see if we’re on the same page). Paul von Hagen: Lead Beard Grower (Tyson might disagree but we both know my beard was cooler.) Oh, also Brewer. IHB: What years did you work at Iron Horse Brewery? PVH: To drink? Finger Gun (pew pew). To make? Literally anything but Cozy Sweater. I swear I still have nightmares about those crashed lauters… I might have a new favorite that you actually make if you guys would send me some of the new ones! IHB: uh… yeah, so we stopped making Finger Gun. We’ll have to send someone down there on a business trip so they can get you some new beers to try. IHB: We don’t believe you because you haven’t updated your LinkedIn yet. IHB: What do you do at The Bruery in Pacentia California? PVH: Make beer, tell jokes, save lives; the usual. PVH: Well it’s November and I went out in shorts and a t-shirt all day, so I’d consider that generally “better” than Ellensburg weather! IHB: Sounds like you are missing out on the chance to wear brewery hoodies and jackets though. IHB: We like to think we helped you beef up your acting resume. PVH: The Pugasus. Think Pegasus, but with the head and tail of a pug dog. That’s right, you now have a new favorite mythical creature that you hadn’t heard of. PVH: Greg dancing on the tables of the pub at the first company party I went to. Not only does the dude have moves, but he has moves even whilst intoxicated and dancing on tables. Mad props Greggy P, mad props. IHB: We’ll implement that nickname right away. It might even become more popular than the Slops nickname used for Jared. PVH: A solid 7.2. I miss everyone there dearly, but frankly Ellensburg just wasn’t for me. If you all want to start an IHB SoCal extension, holler at your boy! IHB: We won’t say we miss you because that’s too mushy gushy for us, but we do miss your enthusiasm for dressing up for our parties, helping the community, and sharing your love of the indie beer biz. Stay rad.